Are you ready to use the power of Distance Healing in your life to clear the root causes of your most challenging health issues, so you no longer have to suffer? If you are "frustrated" by the many different healing methods you have tried, "alternative" or "allopathic," then you are about to discover a new world of possibilities. Using a 'new' method of healing from a vast reservoir of healing energy we are all connected to ... within. I say 'new' because modern science is just starting to prove the validity of 'Distance Healing'. (AKA "Remote Healing" and "Energy Healing"). However, the reality is that the history of energy healing can be traced back 5,000 years. If you feel like you have been shooting in the dark to find the right solution for chronic conditions that affect your health and wellbeing, then the following statement may be the most important words you will ever read. What happens on the physical level has its counterpart condition on different energetic levels. Often, physical issues are connected to unresolved emotional and mental stress, and vice versa. This creates a host of debilitating problems for those affected. In a Distance Healing Session I scan your body for all the energy congestion and blocks in your body. 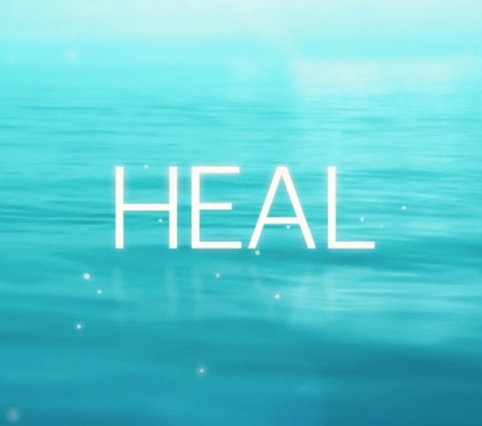 Then you receive a Distant Healing Treatment to remove, harmonize and nourish your entire being to return it to vibrant health. These sessions are solution oriented. Here's what one of my client's said about her Distance Healing Sessions. What makes my Distance Healing abilities different? There are several people out there. However, the reason so many people come to me is because I get results! I find the root cause of the symptoms and resolve them. My many years of study and practice in Traditional Chinese Medicine and Spiritual Healing with traditional Native Medicine Men and Shamanic healers have given me access to advanced healing methods. I blend different healing modalities that allow me to easily adapt my approach as I am guided to do. My combination of healing disciplines gives me the expertise to KNOW what I am looking at when I am in your body and field. Many healers do not have training in human anatomy and physiology, so they are unable to understand the complexity of different organs and systems that regulate the body. In other words, you will not receive a vague email that says, "Well, that thing under your rib cage needs attention!" The road to wholeness and health is different and unique for everyone. For instance, Autoimmune Diseases or Toxicity issues may involve a blended approach of Nutritional Advice with Energy Healing. An example of a blended approach is like the time I helped Rosie W. Heal from Breast Cancer. I was diagnosed with breast cancer February 27, 2014. My Oncologist wanted to schedule me for surgery, but to her dismay I informed her that I was going to seek Alternative Medicine for six months and then return for an ultra sound. I visited many websites searching for natural cancer cures; many had great information some of which I utilized. One day while listening to a talk radio show, the guest was an energy healer who stated that she was healed of cancer with energy healing. 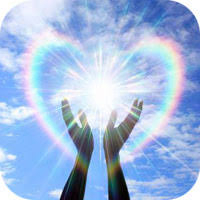 I already knew a little about energy healing, however, I was skeptical about considering it for myself and if would work for me. There are hundreds of websites for energy healers many of which I visited most of them did not feel right in my spirit until I came across Intuitive Health Solutions. After pursuing the website, my intuition led me to contact Adam; I had two energy healing sessions. Adam told me why I had attracted the cancer to me, he also told me some things about what was happening in my body such as un-forgiveness which I thought that I had dealt with. During the second session I could feel as if a "war" was going on in my breast. I went back for an ultra sound July 24, 2014 (five months later) and the ultra sound showed no cancer! I was told by the doctor to come back in six months for a follow-up. 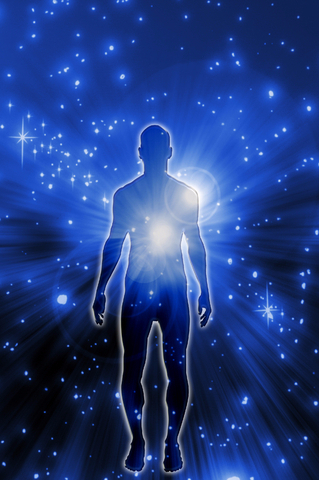 When scanning your body and energy field, I can actually connect to your personal hologram and create an "energy detox" for you. This connection will assist your body with any detoxification program that you might currently be on. 6 - 7 Sessions: Auto-immune Disorders, Diseases, Medically Defined, "Conditions"
You are able to order several Sessions, with deep discounts of 10% - 20% based on how many you choose below. Once signed up, we will schedule the most optimum time and day for your Distance Healing Session. Sessions can be done over the phone or off the phone. *After every session done off the phone, you will receive your completed Distance Healing Session summary by email. This is full review by email of any information that was brought forth during your Distance Healing Session. You also receive details on where energy was directed and the areas that required the most attention. P.S. REMEMBER: When you order several sessions, and as we work over several weeks you find that your health goals have been achieved with less sessions, simply contact me and you will have THE UNUSED SESSIONS refunded! You will still get the package discounts of 10% - 20% for the used sessions. Packages are scheduled over several weeks, to allow healing to properly integrate and to give us time to interact by email to review progress and discuss what I see happening when I am working in your energetic field. Action is the key to making positive changes in your health, life and wellbeing. Q: When can I have my distance healing session? A: After you sign up I will contact you by email with my soonest availability. Q: How did you acquire your healing abilities? A: I acquired my healing abilities by mentoring with a medicine man, medical qigong master and the divine spirit. A: 86% success rate when people follow through with the recommended number of healing sessions.